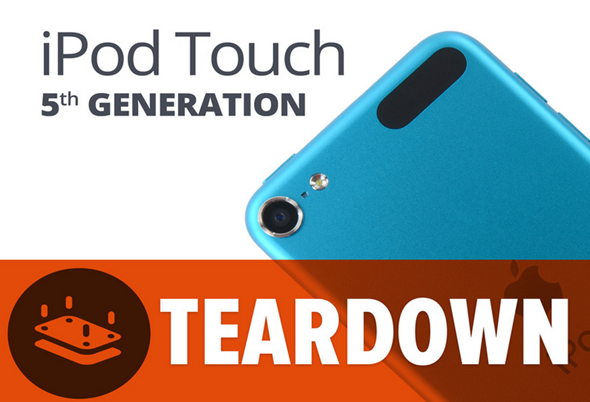 We begin to look forward to the traditional iFixit device teardown that always seem to happen like clockwork whenever Apple pushes out a new device to the market. We are very rarely let down by the quality of the analysis and images that are associated with the experiment, with this time being no exception as the team got their hands on the new fifth-generation iPod touch to see just what Apple have managed to pack in that tiny little slim frame. There are (inevitably) going to be comparisons made between the iPhone 5 and the new iPod touch considering they have both been released in the same cycle and both are the first devices in their category to make use of the larger display and thinner form-factor which Apple has introduced this time around. 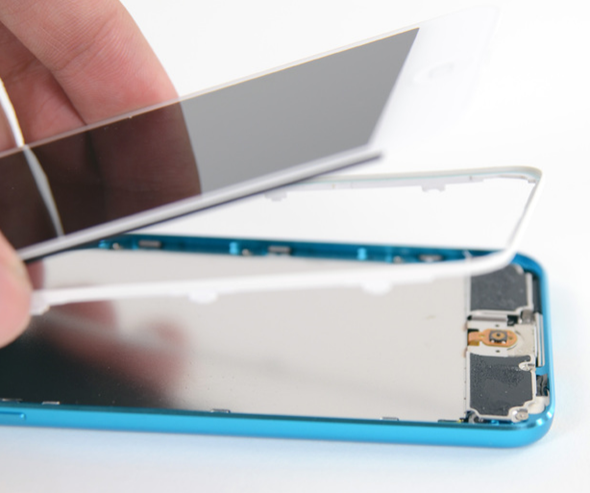 It was immediately noted that the home button and surrounding components that are part of the new iPod touch seem of a lesser quality than the redesigned button found within the sixth-generation iPhone. In a throwback to previous Apple designs; Apple has also made a repair versus manufacturing cost trade-off with the internal setup of the iPod touch. 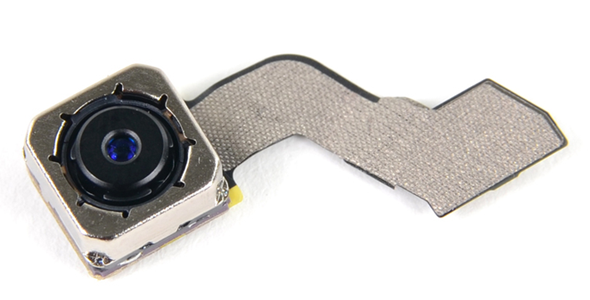 The volume buttons, LED flash and device microphone are all connected together with one convenient ribbon cable on the side. The benefit to Apple is that it reduces component costs to just use one cable but that saving is more than likely offset in some instances by the fact that it makes repairing faulty devices potentially a lot harder. The 1,030 mAh embedded battery is a tiny but noticeable step up from its predecessor and should provide a rather large 40 hours of music playback on a full charge. That’s according to the official Apple literature of course. It shouldn’t come as any real surprise that although the iPod touch is built around the same physical specifications of the new iPhone, but the reality is that it commands a lesser place in the market and therefore needs to be cheaper to make to turn the desired profit. 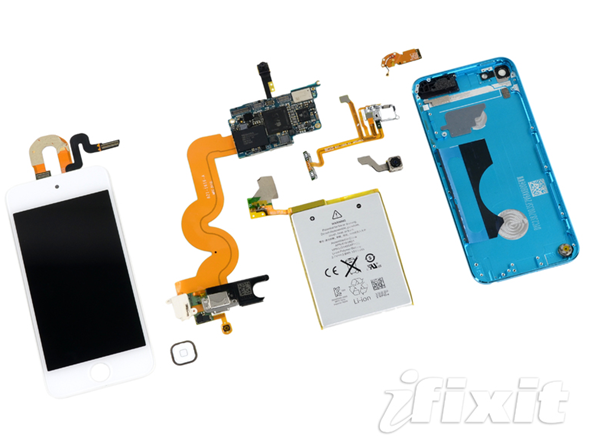 The iFixit team has discovered that the Retina display on the new iPod touch is a cheaper implementation than in the iPhone 5, just like how it was in the fourth-gen iPod touch compared to the iPhone 4/4S. 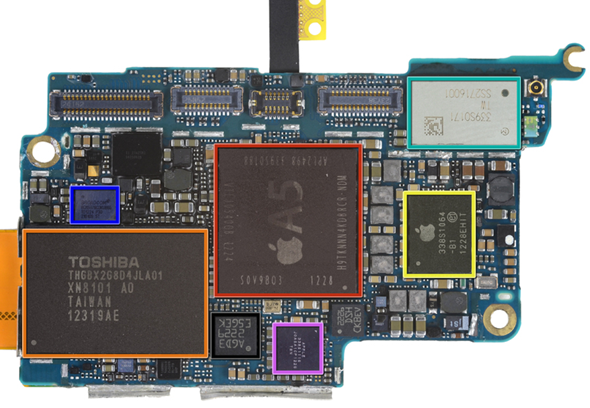 The A5 processor, 512 MB of Hynix RAM and a Broadcom branded touchscreen controller are all other major components that have been identified during the iPod touch autopsy. The differences in build quality have been evident in previous releases of iPod touches so it shouldn’t raise any major alarms. After all, it is highly likely that the home button will get used a lot more on an actual iPhone and therefore warrants a more robust build.